Apple has been having a love-hate relationship with Tidal ever since Drake performed at Lil Wayne’s Lil WeezyAna Fest in New Orleans in breach of his agreement with Apple Music. Later on, the Wall Street Journal and some other major publications reported that Apple is seriously exploring the purchase of Tidal outright, and there were even calculations that it might cost it a cool half a billion to do so. Bummer for Jay-Z, as Tidal lost $28 million last year, but with four times the subscriber base now, Apple Music can wait a few until Beyoncé, Rihanna, Kanye and the other Tidal darlings start to fade out of the pop scene, then swoop in if needed. Oh, well, there's always Samsung. 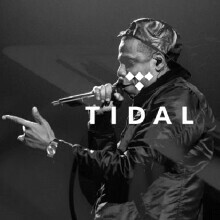 Way to go Apple, Tidal is another BB/Windows, the reason why Jay z wanted to sell it is cause that ship is sinking; even had Kanye trying to pressure Apple to purchase that crap.